If you haven't come here lately, you can probably notice I did quite some changes. Like I said back in the new year post, I have a lot of projects and ideas I want to try and share. I feel very motivated about continuing with the blog, it keeps growing more and more every day. You have given me a very nice response, so I will put more effort into continuing it. Thank you very much! The first change I did was the layout. I think three columns will give me a better space for very needed internal links. I have a lot of projects on the way, and there is where they will live. I hope you don’t mind it takes a bit of space from the post, I tried to keep them the least intrusive. I also tried to keep the space to have big enough photos, because the photos always get many praises. Other change, is the blog carnival icon on the upper left corner. That will be the entrance to the carnival introductory page, feel free to pay it a visit. All the carnivals, that were and will be, will be accessible from there. One more change is the header. I am experimenting with a lot of tools and styles, and I plan on changing the header and the background accordingly to the season let me know which one is your favorite. I also did a lot of little changes. Things like margin size or where some icons go. The menu bar, the search bar and others. I hope it looks better and more professional now. 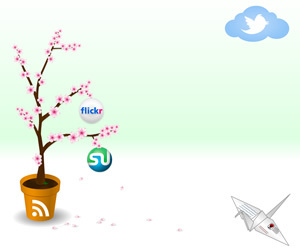 The last new feature is the social media buttons Internet tree on the upper right corner. I feel specially proud of this one. I did the drawing almost from the scratch and I had to do a lot of learning to have the links and everything on the right place and working properly. Also, I end up doing a lot of little drawings that I won’t use, but I think others might find useful, so be on the lookout for a goodies page. I will put them all there. Ok, now on to the gardening matters. Last post I got a couple questions about banana peels fertilizer. I had done a post about it back in November, but I didn't showed the results. Well, here they are. Back then, because I didn't had many peels, I had only put fertilizer on one of my flower pots, the one that needed it the most. So only one got the benefits and now I am seeing the differences. I think is a fair comparison. Both planters have almost the same kind of flowers, they get the same amount of sun and of water and the soil where they are planted comes from the same bag. Also, I normally trim the dead buttons to keep them flowering, though lately I have not done it as much because I am waiting for seeds. On with the comparison then. First planter A, I did not put any fertilizer on this planter. 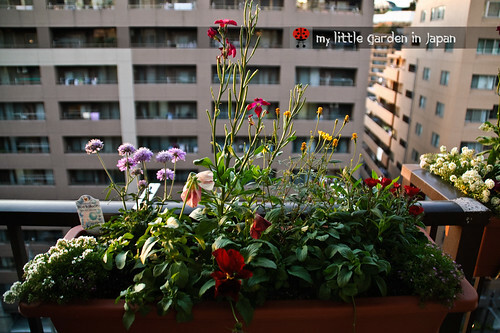 It bloomed beautifully back when it was new, but with the cold it slowly started to recede. Here is the photo of flower planter A. As you can see the pansies and the alyssum hardly have any flowers. The lemon marigold, even though is very hardy, is starting to get bald. And the stock is down to its lasts flowers. The only one that still seems strong is the Blue ballon scabiosa. Now planter B, the one that got its dose of banana fertilizer. This one was starting to have less flowers back then, that’s why I decided on using the banana peels on it. Here is the photo of flower planter B. What a difference! The pansies are in full bloom, and with a lot of new buttons coming up. The stock has lasted much longer, and still have buttons. The cosmos, even tho is not as resistant as the mint marigold, still has a lot of its flowers. Also, the alyssum is much more grown and flowered. That is the difference that a little of homemade banana fertilizer can make. Which teaches me that I should have putted some fertilizer in both planters back then. But in the end it is no problem, because, I recently got a new bunch of bananas and I am planning on making a lot of milkshakes out of them. I have to get them very green so they last long enough for me to finish them. Click here for my old post about making banana peel fertilizer for containers. And remember, seven more days to the carnival! Be ready with a post about what do you plan on doing at your garden this year, maybe about one particular plant you want to have, a renovation you will do, a special patch you will grow, a new gardening technique you will give a try, or any other project you have prepared for this new year. fer, i love the new design! i wish i knew how to do graphics like you do. that internet tree is great! Hi Fer! i didn't get your point at planter A. Did you just put an ordinary fertilizer or you added something to it? please do tell me, i really need it for my science project. By the way, nice blog you've got there! and uhm, it's a good thing you used Fair Testing. Hi Alexa! Thank you for visiting. For planter A i didnt add anything, it was my control. Planter be had banana fertilizer. You could say it was a before and after. Hope this helps. Good luck with your project. BTW is your new header animated? The application crashed and I only see an empty frame. 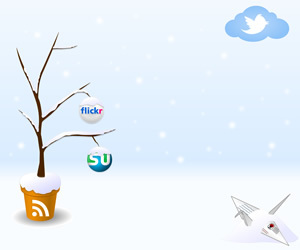 I love your internet tree, but hope you will keep your blog quick and easy to load! Thanks for the tip! (In Sweden banana peels have a very bad reputation for not decomposing fast enough.) But by blending i it will of course go much faster! I will try it! The new design is great! Nice and cute as always! This is what i'm going to make this week, banana fertilizer! After reading your previous post on how to make the fertilizer few months back i was very eager to try this on my plants but only now that the pictures on the results shown on your flowers motivated me so much to really wanna make it. I make my home-made fertilizer at home too, but i guess my plants are already 'numb' and bored to what i feed them and they are not showing much improvement now. Time to change the menu :) Thanks for the post. Hi Fer, Very refreshing new look indeed! Your banana peel potion seems to be making wonders. Those blooms are great. I like your flowers and the idea of banana peel! I shall try on my flowering plant! Certainly a big differance with your experimentation. Fer, thanks for sharing the info about banana fertilizer. I love your internet tree. The header is just an image, not a heavy one I think. Is the website loading slow? Is hard to tell from this end.Maybe I have to many widgets. I will see what I can optimize. By the way, sorry about making all the changes live. It must have been annoying to see the website half done. I need to get a testing site. Cute internet tree and new layout.I have not tried your banana peel fertiliser yet but I did use rice water everyday like my mom did to water her plants. Looking forward to your Carnival again! Like the new design, your tree is an impressive feat, I know how hard all that kind of stuff can be! Have bookmarked your banana shake post and will be trying it both here and up at the allotment - we get through a lot of bananas in this household! Fer the new look is great but I haven't a picture in the top panel either - when I click on properties for the wouldbe picture it says not available. Fer, the difference between the two containers is amazing! Gotta start making some of that fertilizer! Well done on your internet tree - that is quite an accomplishment! Thanks for sharing your fertilizer post again, I missed it the first time. We eat a lot of bananas, I'll have to mix up some shakes! Your blog header looks fine now Fer, though last night it wasn't working. I have been thinking of making some layout changes to my own blog, but I'm going to be more careful now! 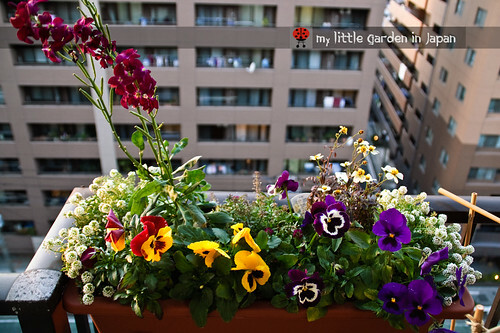 I have always admired the way you take care of your plants and your garden. Even with little space you did a great job. The flowers you have in your box, I usually have them too. But it is still to early. It will take another two months, at least, before we can plant any of them. Thank you very much! I tried to fix the header, I hope is working properly now. please let me know if there is something else working weird. Alistair ~ you can enter them on the day the carnival is posted! and some days after that. Fer, these look like useful renovations and you've kept to the attractive, modern look of your blog. Nice job! I still love your banana peel fertilizer idea and can't wait to use it in the spring. I like the changes! Very innovative and creative...very easy to view and find stuff. Hi Fer! LOVE the internet tree! So creative! I do hope you'll participate in the Conservatory World Tour! Here's the link, in case you do! Hi Fer, have a good job with your template renovation! The changes you've already made look good! Your site looks great, I was trying to make some changes to my design today..gets a little frustrating at times. I love your header, seal..the tree is awesome! I can certainly appreciate the work you've done on your blog-it is not an easy thing and something I hate doing on mine. The banana peels really made a difference. I love it! I do practice guerrilla gardening. Tha abandoned house next door and a former abandoned hospital in Santurce are my laboratory to experiment and theorize regarding this practice in the tropics. I like all the changes you have done with the blog, especially the tree. You probably know a lot about web design. Great post about banana peel fertilizer. I'll have to check out the banana peel fertilizer recipe, since my husband eats a lot of bananas. The planter that got the fertilizer looks beautiful. Great new look! Your internet tree and blog carnival logo look great. That banana milkshake seems to be doing a wonderful job! Well done, friend! The tree is awesome. Anyone can see your passion in what you do. Keep up the mindful work. I always compost my banana peels, but now i think i will make a few banana shakes for my plants. it seems to really work. i look forward to the carnival! Hi Fer, I think your photos are great. When I first saw your blog, I was impressed by how you make every-day things look interesting just by the way you photograph them. 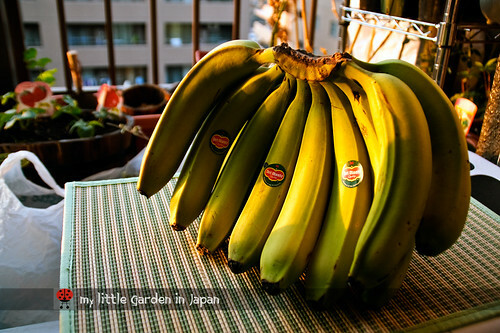 You also notice the Japanese details that a local person would just take for granted.... and gardening tips as well - I'm saving up banana skins already. I hope you guys find the recipe very helpful. I am already making a new batch for the first planter and I will post the results later. Kylee ~ I will try and find a conservatory to showcase. Love the banana fertiliser idea, thanks for sharing Fer. The rosemary is blooming in winter!